We are exited to be back at the 8th annual EBN Techcamp in the Netherlands next month. 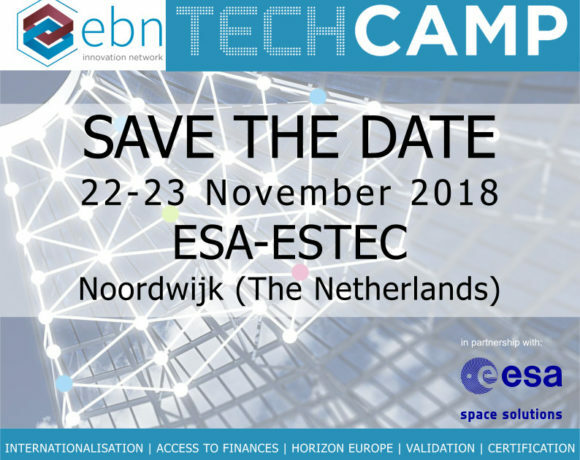 The EBN TechCamp is the main EBN technical event where incubation and acceleration practitioners from EU|BICs all over Europe and beyond come together for mutual learning, experience exchange and enhancement of technical know-how. Make sure to come see our presentation of the GrowthWheel visual Toolbox on the first day of the conference, presented by Oliver Mika between 12:30 and 13:00, November 22. During this half an hour participants to the TechCamp will have the chance to discover the tools that are available for support organisations to improve the quality of their job. Also, don’t forget to drop by our booth for a quick demo of how our online platform can help business advisors and their clients grow in the cloud. We look forward to seeing you at the 2018 Global Consortium of Entrepreneurship Centers (GCEC) annual conference in Chicago, hosted by DePaul University and Illinois Institute of Technology. The GCEC is the premier academic organization addressing the emerging topics of importance to the nation’s university-based centers for entrepreneurship. It has become the vehicle by which the top, established entrepreneurship centers, as well as emerging centers, can work together to share best practices, develop programs and initiatives, and collaborate and assist each other in advancing, strengthening, and celebrating the role of universities in teaching the entrepreneurs of tomorrow. Join us to learn how using visual and interactive tools help students take a deeper dive and instantly see the visual data regarding the progress of decisions and actions they are working on as well as the outcomes they have achieved in their project. We will discuss how the absolute flexibility of the toolbox means that it can be fully adapted to an existing curriculum or center service protocol. Drop by our booth for a quick demo of how our online platform can help you give your studens a digital experience. We were happy to join the annual ASBDC Conference in Washington DC again this year, and would like to thank everyone. It was great to see many new faces and to reconnect with familiar ones. We are looking forward to join the NACCE2018 conference in Fort Worth, Texas next month. The 16th annual conference of the National Association for Community College Entrepreneurship (NACCE) revolves around “The Entrepreneurial ecosystem revolution." 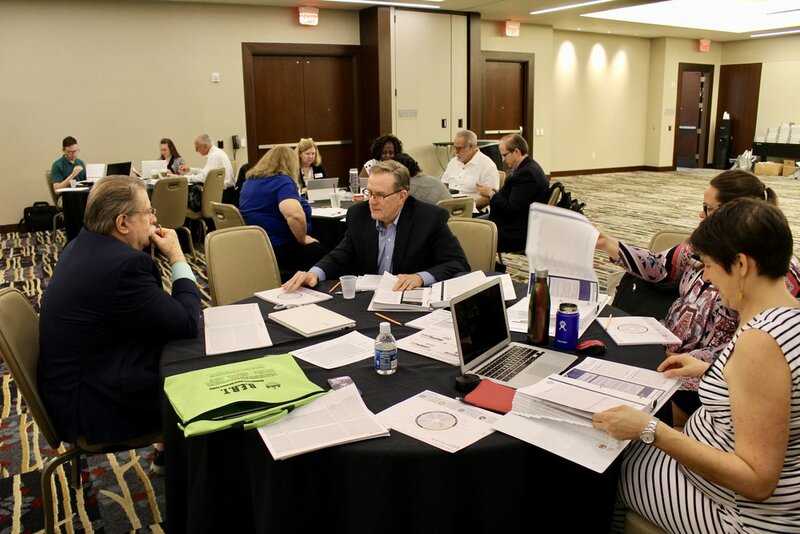 Panels and breakout sessions featuring NACCE members from across the United States will share best practices for entrepreneurial leadership and experiential teaching across academic disciplines. Have you found it difficult keeping students accountable efficiently? Want to create efficiencies while managing large numbers of students? Engage in an active learning experience designed to solve problems you experience in their classroom settings. Share frustrations and leave with solutions! Learn how other educators are solving common challenges in the classroom. Apply some innovative ways to keep students engaged and accountable using online learning systems. Walk away with new connections from the active learning and networking activities planned. GrowthWheel is happy to be a sponsor of the conference. Drop by our booth for a quick demo of how our online platform can help you give your studens a digital experience. We are looking forward to join the ASBDC conference next month in Washington. The theme of this year’s conference is “Connect & Protect" - focusing on how professionals and small businesses can make the right connections and protect their businesses from internal and external fraud, hackers and other cyber threats. Again, GrowthWheel is happy to sponsor the conference. Drop by our booth for a quick demo of how our online platform can help advisors work smarter. 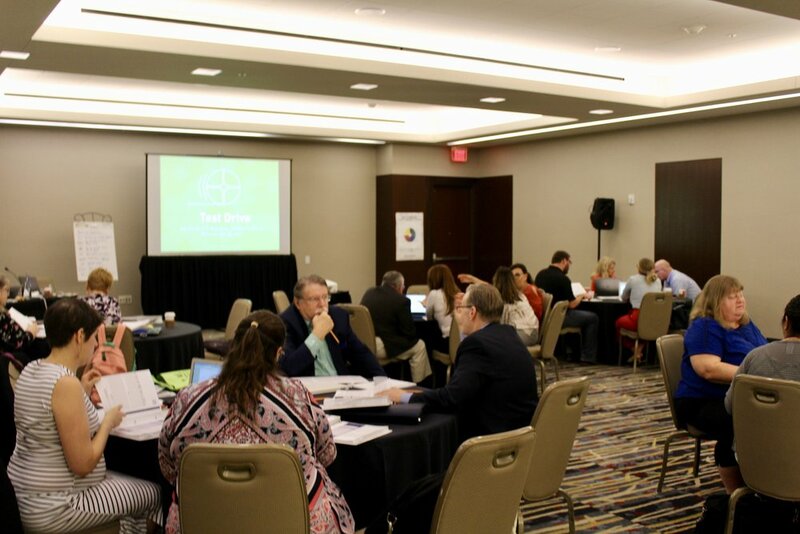 If you would like to become a GrowthWheel Certified Advisor, join our pre-conference Certification Course in Washington, DC on September 3-4. For the 6th time, you can meet GrowthWheel at the annual European Business & Innovation Congress, this year in Esch-Sur-Alzette, Luxembourg on June 6-8. GrowthWheel is sponsoring and exhibiting at the congress, which will focus on the future of innovation. In respect to this theme, we will present GrowthWheel's newest software features along with our thoughts on how you can work smarter and help your clients grow by using our cloud-based software. 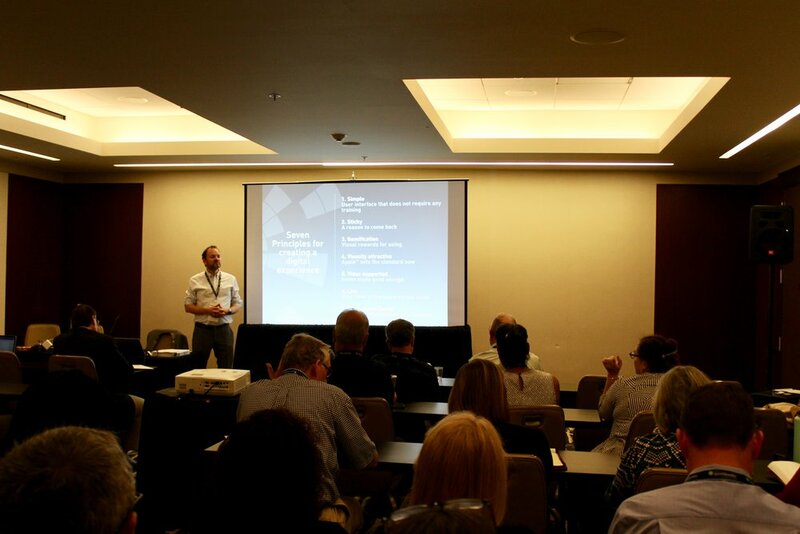 We're happy to sponsor two SBDC conferences in a row, where we will launch our new tool stack. We're excited to sponsor and attend two regional SBDC conferences the next two weeks! GrowthWheel International is happy to announce that we are bronze partners at NASBITE International 31st Annual Conference, March 21-23! This is the place where export professionals get together be inspired and come up with new innovative solutions. We’re excited that our own Product and Learning Specialist Elizabeth Binning will do a keynote about “Best Practices in Choosing Foreign Markets”. We’re looking forward to this discussion. 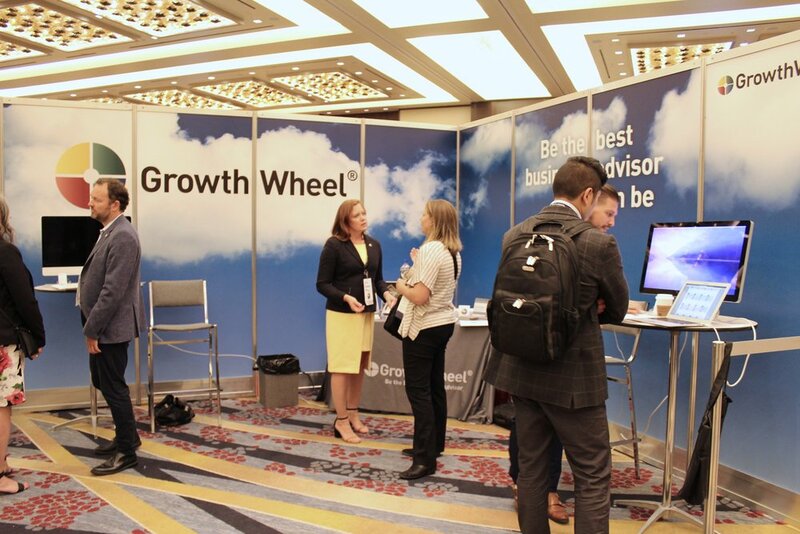 You can also meet the GrowthWheel team at our booth! We’re looking forward to meet current and future partners. GrowthWheel has arrived at the Economic Developers Council of Ontario in Toronto today. The conference will deal with how to take action in an ever-changing landscape. We are looking forward to be a part of this important topic. GrowthWheel is happy to attend the Global Consortium of Entrepreneurship Centers Conference in Halifax, Nova Scotia for the very first time. The conference will deal with the importance of the nation's university-based centers for entrepreneurship. GCEC's objectives are advancing, strengthening and celebrating universities in teaching entrepreneurship. GCEC2017 will be hosted by three universities; Dalhousie University, Saint Mary's University and the University of New Brunswick. We will have a booth at the conference. Drop by and hear about our latest release. Yet again, GrowthWheel will attend the National Association for Community College Entrepreneurship Conference, this year in Tampa, FL. Despite the Hurricane Irma, NACCE will still host the annual conference, which we are very happy about. During the pre-conference sessions, Founder and CEO David Madié and Product and Learning Specialist Elizabeth Binning will host a two-days Certification Course. We can’t wait to be a part of the NACCE Conference and support the meaningful and important work they do. For the first time GrowthWheel will participate in the European BIC Network’s Tech Camp in Naples, Italy. This year’s programme concerns Robotics for Industry 4.0 and Inclusive Entrepreneurship. Moreover, the Tech Camp focuses on Innovation Opportunities and Mentoring Innovative Startup Companies. During the conference, the founder and CEO of GrowthWheel David Madié will attend a plenary session about Tools Pitching, EBN hosts panel discussions about issues related to Mentor Networks and moderator Giordano Dichter from EBN in Belgium will share his both successful and challenging experiences with mentoring. We are looking forward to be back at another EBN conference meeting old as well as new friends. In three weeks, GrowthWheel will participate in the WBS’s Annual Leadership Conference. This year's theme is Today’s Dream, Tomorrow’s Impact. The purpose of the conference is among others training and capacity-building for WBC’s leaders and their staff. Moreover, the conference will focus on strategic planning, program expansion, impact measurement, governance, fundraising and leadership development. The focus areas above are all implemented in the GrowthWheel Toolbox which is why GrowthWheel also hosts a Certification Course on the 14th-15th of September in connection with the event. We are looking forward to be a part of the WBC's Leadership Conference 2017.